With only 120,000 inhabitants, the university city of Ulm may be one of Germany's smaller major cities, but it is rich with history. Ulm lies on the Danube and became a cultural and economic center of Europe toward the end of the 15th century. Ulm Minster is well known for having the tallest church steeple in the world, and the most famous mathematician in the world, Albert Einstein, was born in the city on the Bavarian border. 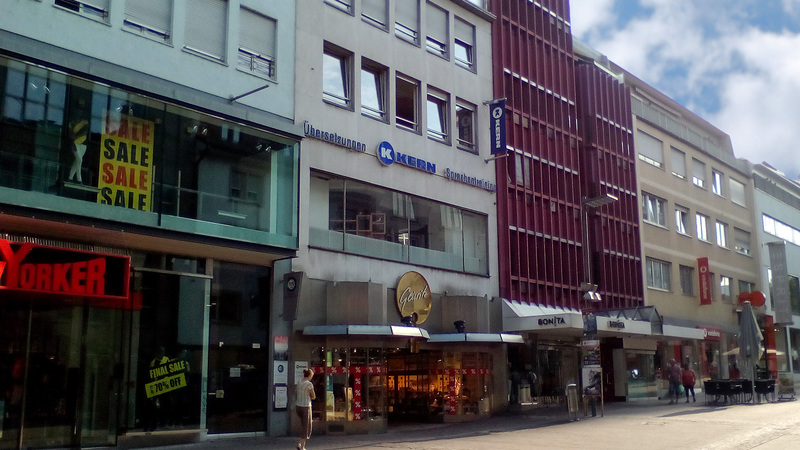 KERN opened its branch here in 2007. Since then, our branch has assisted numerous customers from the region with varied language service requirements. If you would like to visit us in person, we are located in Ulm's charming city center around 400 meters on foot from the main train station. Come and stop by – we are looking forward to your visit!